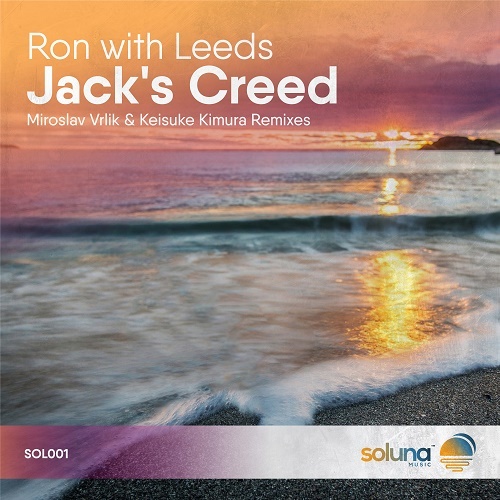 Making a strong statement in the electronic dance music scene is Ron with Leeds, a German-based Dj and producer-duo of Alex Schikora and Bjöern Lengelsen, who debuts on Soluna Music with the label's first release. Outstanding remixes by Slovakian native Miroslav Vrlik and Keisuke Kimura of Japan complete a package that is sure to make a lasting impression in the scene. Evocative bass lines, profound melodies, and hauntingly surreal vocals, capture the essence of progressive trance in this mesmerizing amalgamation of dreams and splendor. Venture through virtual landscapes of extraordinary proportions as Vrlik guides us through an aural odyssey that is sure to become more than legend. Chimes, dreamlike guitar strings, and the sweeping chants of mythical sirens will seduce you on this epic journey. Find escape in the hypnotic undercurrents of resonating basslines and atmospheric soundscapes in Kimura's glorious rendition. The flanging melodies in the breakdown paint visions of breathtaking auroral phenomenon.